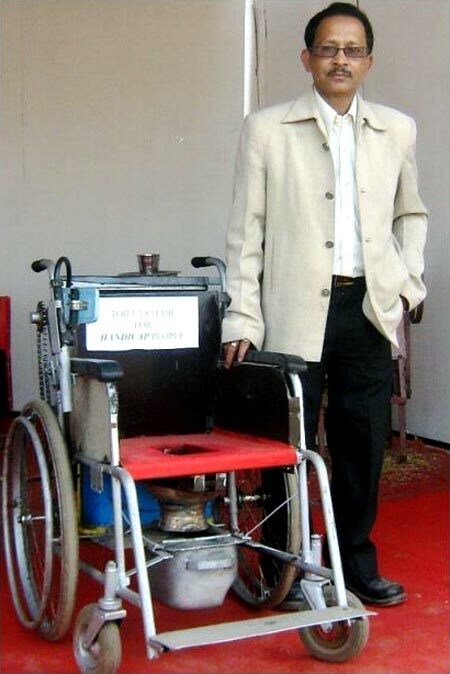 Rediff.com » Getahead » AMAZING: Meet the Indian engineer with 98 INNOVATIONS! 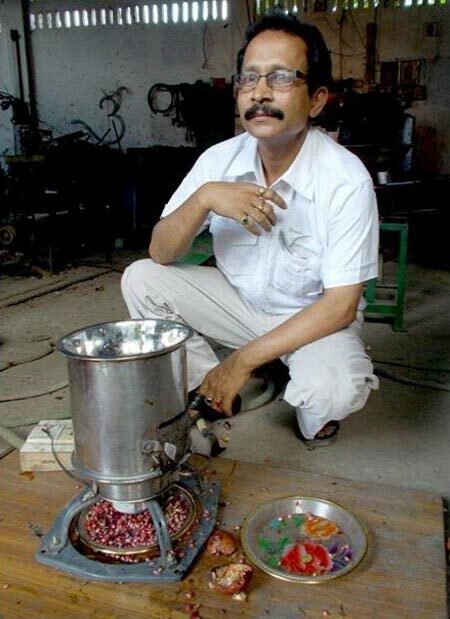 AMAZING: Meet the Indian engineer with 98 INNOVATIONS! 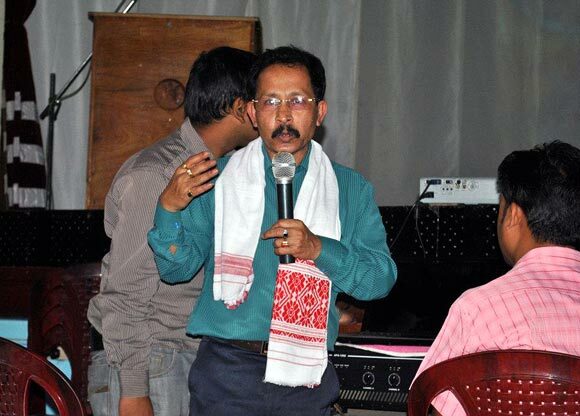 Assam-born mechanical engineer Uddhab Bharali dropped out of college in 1987 because of acute poverty. Called 'useless' by his family and labelled a lunatic for his desire to invent things the likes of which the world has never seen, today he has been shortlisted by NASA for a breakthrough innovation. Bill Gates once famously said: If you are born poor it's not your mistake, but if you die poor, it's your mistake. Uddhab Bharali was born to a businessman father in Lakhimpur, Assam and was only four years old when he first realised that his parent was a complete failure careerwise. Not only did he fail in business, but each of his initiatives nudged their family closer to debt and poverty. By the time Bharali reached primary school, he had already seen the worst of times. "We had only one cow for the entire family and we had to divide the milk among five people. Sometimes my mother would feed us peanuts with the milk. That was our only food for the whole day," he says. The fact that he was academically extraordinarily bright was of no consequence at home. He had no role models to draw inspiration from and no time or money to indulge in leisure. Bharali, who received his schooling at the Government Secondary School, Lakhimpur, was often asked by his teacher to stand outside the class because he asked 'difficult questions' in mathematics. But despite puzzling his teachers and peers, he was twice rewarded with a double promotion at school. "After completing first grade, I was promoted to third grade and from Class VI, I was promoted to Class VIII. I loved mathematics. I even tutored some of my classmates to help them get good grades," he states. "When I was in Class VIII, I could solve some of the toughest problems from Class 11 and 12 textbooks. Even college students would come to me asking for my help," continues Bharali, who graduated from school at 14, but had to drop out of engineering college because he could not afford to pay the fees and had to care for his family. And that is what he is doing even today -- Bharali currently lives with his widowed mother, wife, an eight-year-old son and two younger sisters in North Lakhimpur. As the years passed, debts rose and the Bharali family owed a sum of Rs 18 lakh to the bank. The odd jobs that he took up were not enough to support his large family and that's how, he says, he stumbled upon the idea of innovation -- by accident. "In 1987, the bank authorities told us that we would have to vacate our home if we did not pay them the money. I was aware that a company was looking for innovators who could design a polythene-making machine. But since the existing product was available for a price of Rs 5 lakh, I knew that if I wanted the deal, I should try to create a design which would cost less than that," says the innovator, who duplicated the exorbitantly priced original for a fraction of the cost and sold it for Rs 67,000. Although this was ample evidence of Bharali's extraordinary talent, there were no takers to help him put his intelligence and talent to good use. In 1995, things worsened when Bharali lost his elder brother to liver sclerosis. That's when he realised that as the only earning member, it was upto him to take care of his family's needs. He was also devastated at how poverty had affected his loved ones and therefore pledged not only to earn enough to sustain his family, but also to help resurrect the lives of others living below the poverty line. With that dream in mind, he concentrated on making products to serve rural and commercial purposes. Even when he found it difficult to pay off his debts and avail of funding for the project, he believed that someday God would answer his prayers. And indeed, they were. In 2005, Bharali's talent came to the attention of the National Innovation Foundation, Ahmedabad and they took him aboard as a grassroots innovator. In 2006, his design for a pomegranate de-seeding machine was recognised as the first of its kind not only in India, but across the world. And since then, there has been no looking back for him. "America had been struggling with this concept for over 30 years. 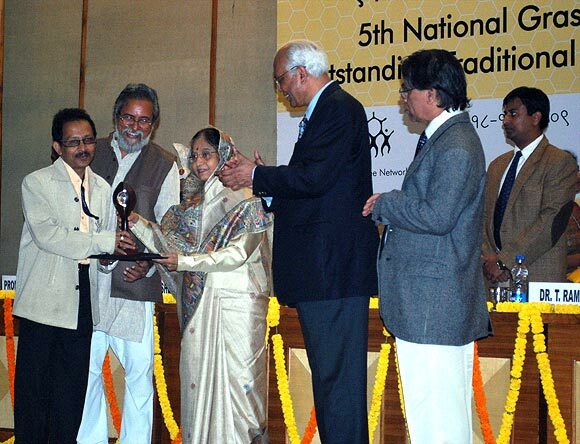 I am glad to have succeeded in achieving this feat," says the recipient of the President's National Grassroots Innovation Award 2009, which turned his fortunes overnight. The serial innovator, who has more than 98 inventions to his credit, was also recently shortlisted for his desktop pomegranate de-seeding machine by the National Aeronautics and Space Administration (NASA) for its prestigious Technology Award; the results will be announced in September. Another of his innovations, the mini CTC tea plant, which aims to help smalltime tea pluckers and farmers, has also been nominated by the the World Technology Network for the World Technology Awards 2012. In the following pages, Bharali emphasises the importance of being self-sufficient, tells us why he prefers being known as an innovator rather than an entrepreneur and shares some of his biggest dreams for India's future. How young were you when you launched your first innovation? What was it about? I was 23 when I duplicated the polythene machine. It was created more out of desperation rather than inspiration. After the death of my father, my family owed a debt of Rs 18 lakh. There was no way I could earn that much money doing menial jobs. I designed a duplicate of the existing machine that cost Rs 5 lakh for Rs 67,000 only. And the impressive part was that the raw materials cost me only Rs 22,000. That's when I realised that if I set my heart on something, I could definitely come up with better technological innovations. What inspired you to continue with your work? What do you hope to achieve through your innovations? Through my innovations, I want to reach out to those who are living below the poverty line, nationally and internationally. I don't want to make any profits for myself. I have made that clear to my family as well. Sometimes they think I am crazy, but I think it is the money and want of luxuries that drives you crazy. I believe that if you cannot help society through your knowledge and capabilities, you are living a worthless life. Today, people from all over the world call me to know more about my work and life. Some of them have even offered me crores of rupees to work with them, but I refuse their offers. I cannot work like that. I earn enough to sustain myself. So, how do you finance your projects...the infrastructure, workforce, raw materials etc? Although I started innovating to help poor people live better lives, I realised that by doing so, I was not able to generate enough money for my research and raw materials. I ended up making and distributing products free of cost to people. So I decided to commercialise my designs and make money through royalties, which I would use to meet my research and philanthropic needs. Of the 25 per cent profits I earn through royalties every month, I spend 10 per cent on an old age home, 10 per cent on an orphanage and keep five per cent for myself. I have also started a small research and training institute where I pick illiterate students, educate and train them for three months on technology and its applications. How do you ensure that your devices are available at subsidised costs? Do you make enough profits now? When I design a product, I ensure that it can be used by the illiterate and the handicapped. Most of my products consume low power and are easy to operate. Another important factor I keep in mind is that none of my products should reduce employment opportunities in any way. I know that a lot of poor people in our country are dependent on manual labour for a living and if I introduce technology that runs on power, I may rob them of their very source of living. I refuse to make such designs. My designs are manually operated and demand comparatively less labour costs. Most of your innovations have been in the field of agriculture. Why? In India, agriculture and farming are the primary sources of livelihood for many. Farmers are not only illiterate, they are also poor and cannot afford to buy expensive technology, even if it's available. It's a vicious circle. So I try to create technology that is available cheaply and requires less expertise. In the case of poor farmers, I design it free of cost. Tell us about your desktop pomegranate de-seeder that was shortlisted by NASA. What inspired you to make it and what does it do? I am always working on more than one project at the same time. And when someone tells me that something is impossible to achieve, I am more committed to proving them wrong. When I learnt that American scientists had been unable to find a solution to de-seed pomegranates for the last 30 years, I challenged myself to find an answer. But pomegranate is a rare fruit in Assam. I would travel over 500 kilometres to buy two or three kilos of the fruit for my research. No matter how hard I tried, I always ended up crushing the seeds. Frustrated, one day, I kicked one of the fruits. When it rolled onto the floor and hit a stone, it immediately opened and the seeds got shaken loose. I observed that although the process took place quite naturally, none of the seeds were crushed. I got my idea there. For the next 72 hours, I locked myself up in a room trying to crack the design for this product. When I presented the prototype in November 2006, it surprised even the American innovators. 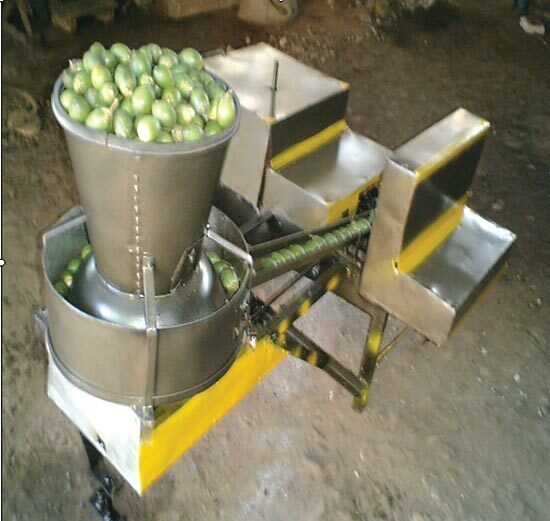 It has the capacity to de-seed over 50 kilos of pomegranate per hour without crushing them. The machine was later redeveloped into a desktop model to suit smaller needs and was shipped to Turkey and the USA. I am happy that NASA shortlisted my innovation. Also, your mini CTC tea plant has been shortlisted for the World Technology Award 2012. What's unique about it and what inspired you to create it? Assam is a major producer of tea. A lot of tea pluckers here rely on big tea plant owners who give them a poor rate for their crop. But they are too poor and illiterate to understand that they are being taken for a ride. So, I designed this tea plant which will cost the investor anything between one to six lakhs. But, this is purely a one-time investment that will help them earn better from their crop. When we did a test run, we realised that tea pluckers who earlier received Rs 9/kg for the tea crop, could now get upto Rs 20/kg if they were to invest in this plant. You charge a higher fee to government clients than private ones. Why's that? I've always believed that government officials are corrupt and hence, I don't give them any discounts. I charge Rs 24,000 per month for private organisations and Rs 48,000 if I am designing something for the government. What were the challenges you faced as an innovation entrepreneur when you started off? How did you overcome them? In India, there is limited funding available for research and development. Even if you are allotted funds, you have to work in government laboratories and the visibility and scope of success is limited there. My struggles ended only after I was taken under the wings of the National Innovation Foundation. They are one of the few organisations who value the efforts of grassroots innovators and encourage them. One of your dreams is to build a mechanised toilet for the handicapped. Can you tell us more about it and how it will help people? Yes, that's one of the long pending dreams. It worries me to find that handicapped people are dependent on others for their daily activities. So I designed this toilet and shared it on the website for others to see. When the prototype was developed, it was realised that the device leaves a foul smell three hours later. To eradicate that problem, I will need to make some adjustments to the current low cost model and the research and raw material will cost me up to Rs 10 lakh. I don't have that much money. I have approached a few people who have shown interest in developing the design. I hope it will be introduced soon. What are your big dreams for India? 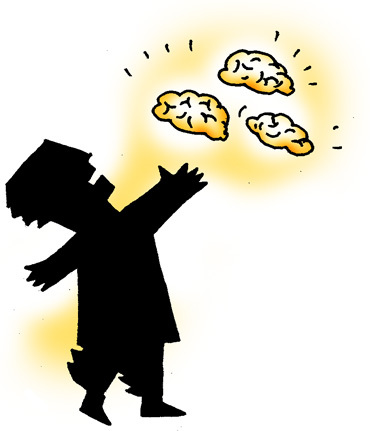 Another big dream is to power an orphanage which will both senior citizens and poor children. I don't want any contribution for that because I plan to run it with the money I earn from my innovations. I am already taking care of 20 such kids providing them food and lodging and as they grow up, I intend to absorb them into my training cell and make them self-sufficient for life. Your innovations are renowned the world over. How do you conduct research for international clients? Do you visit these countries to study their behaviour and needs? Today, a lot of my clients are international -- from Turkey, USA, Ethiopia and Indonesia to name a few countries. Different people have different problems and want solutions. Some of them have invited me to their countries, but for some reason or the other, it's never worked out -- either I could not leave my family or because I had some prior commitments. I have travelled to Mumbai and Pune to visit my clients and discuss work, but never travelled outside the country. I may be going to New York for the first time in November. You also hold training programmes targeting youngsters for the application of technology. How do you pick them and what does the training include? I select upto 10 illiterate students and invite them for a three-month training programme where I exclusively teach them how to use technology. I don't teach them history or geography. I also give them a stipend of Rs 100-300 per month for the first two months. This is more like pocket money. The challenge is that by the third month, these students have to earn themselves a stipend of Rs 2,000 through their merit. I can easily train them and leave it at that. But any education is incomplete unless you can put it to good use and any training is incomplete without a challenge attached to it. You must be working on more than one project at a time. How do you multitask? Even now, I have 53 projects on hand and I am currently responsible for an average of eight projects a month. Once I take up a project, I ensure that within 48 hours I crack and send the client a formula. I believe that if an innovator can't come up with a solution in 48 hours, s/he is not dedicated to the project and will not come up with a good solution even if the next one year is spent on it. Once I crack the formula, in the next 28 days, I have to come up with a prototype. If I get bored or stuck with one project, I leave it and switch to the next one. I can't sit idle or rest as long as work is pending. I lock myself up for hours without eating or sleeping till I crack a formula. A lot of people get annoyed by that habit. But that's how I multitask. It's what I love doing. Have you ever failed at launching something? How do you cope with failure? Failure is an excuse that cowards make. Everyone fails, but the challenge is to make the impossible possible. The lack of action is what makes failure sound so depressing. I have seen so many low moments in my life. Had I sat back and complained, I would never have known what I was capable of. A lot of people say that the government is indifferent towards the North-Eastern population. I would like to ask them: So why don't you do something about it? Do something so that the government is forced to pay attention to you and your people. That's what I am doing. Unless you make some moves, you can't overcome your situation. Failure is just a situation. Your action is the solution. Frankly, I have never had any inspirational figures in my life. Most of the innovators I know start off as social innovators and end up entrepreneurs. They design products with the intention of making more and more money. I don't approve of that. That's why I stay away from luxuries and lead a simple life. However, the one person I really admire is Prof Anil Gupta, head of NIF, Ahmedabad. His efforts to find and encourage grassroots innovators in the country are truly laudable. What would you say life has taught you? When I first started innovating, I told people that I wanted to create designs that would surprise the world. Everyone in Lakhimpur laughed at me. Some of them even called me a lunatic. I thought at least my family would support me. Forget supporting, most of the time they called me a 'useless, good-for-nothing' fellow because they knew that every extra penny I earned was spent in serving poor people. And that is what annoys me the most. On one hand, there are people who appreciate and bless you for the good work, but your own family and society demand that you be selfish. I have seen the worst of poverty as a child and I won't blame anyone for it. I won't complain because if I do that, I will be insulting the talent that God gave me. I have learnt that any life is incomplete without struggle and with every struggle, you step closer to success. What's your advice to India's youth? I want to tell the youth of the country that if you have goodness in your heart, you can conquer the world. I believe that the money you earn is of no use if you can't use it to bring happiness to someone's life. I also want to appeal to parents. I want to tell them that they must raise their kids as human beings first and engineers and doctors later. If they can't become good human beings, their education and success makes no difference to society.